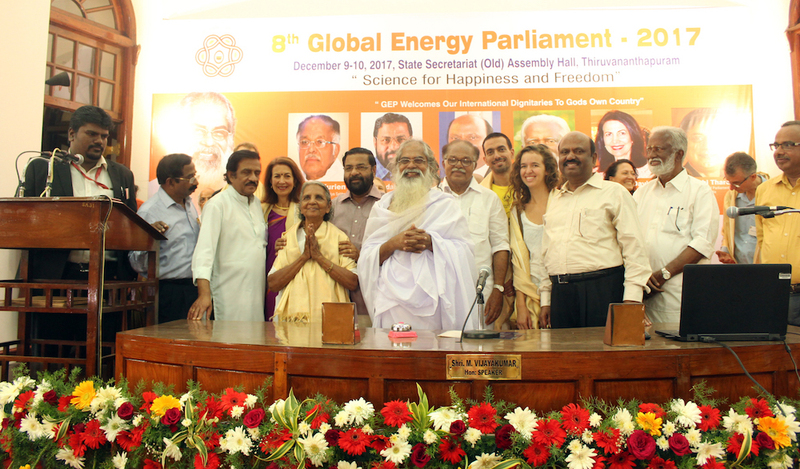 The 8th annual session of the Global Energy Parliament was held on December 9-10, 2017 at the first Assembly Hall of the Kerala government at the State Secretariat, Thiruvananthapuram, Kerala, India. GEP 2017 was organized by the Isa Viswa Prajnana Trust, holding Consultative Status to the United Nations ECOSOC. 18 Questions, 28 Submissions and 2 Bills were presented. The parliament concluded with unanimous passing of the Bills and Resolutions, which will be made available shortly. The Students' Parliament concluded with appointment of various Campus Ambassadors to take the message forward. All Members were delighted with the two day parliament and will be continuing their work as Ministers and in various Committees. The organizers thank the Kerala Legislative Secretariat's Centre for Parliamentary Studies and Training, the Nirbhaya Debating Society, Personal-Point GmbH-Germany, and GC Avocats-France for their support and assistance for holding GEP 2017.